Natural Resource Management must be used as much as possible for the welfare of the Indonesian people in accordance with Article 33 Paragraph (3), the 1945 Constitution which expressly states that the earth, water, and natural resources contained therein are controlled by the state and used as much as possible for the prosperity of the people. Allocating natural resource results for the benefit of the community is the government's partisanship to the interests of the community, for example to help provide new electricity connections and provide affordable electricity rates for all Indonesians. 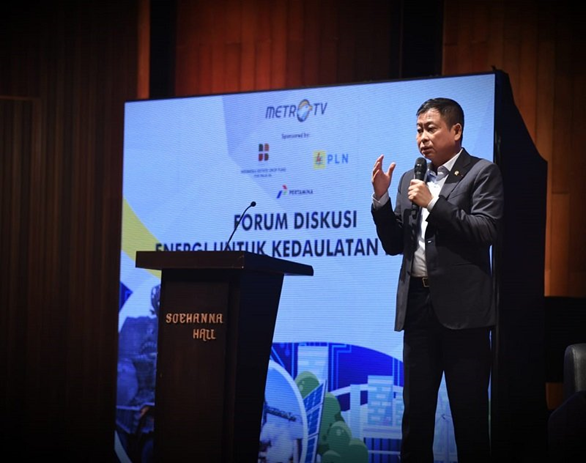 This was conveyed by Minister of Energy and Mineral Resources (ESDM) Ignasius Jonan at the Economic Challenger event today, Tuesday (2/4). "There is a part of the Indonesian people who are less fortunate, who have only been unable to install electricity connections of Rp 550,000. This is a big challenge, indeed from the producer side they want to sell the price at a minimum, but the Government wants more affordable prices because of one the big one is the result of natural resources in accordance with Article 33, which is used as much as possible for the prosperity of the people, "said Jonan. The Government's concern for the availability of public electricity are two things, first availability and the second is affordability. "If it's available but it's not affordable (affordable), it will eventually be in vain," added Jonan. Jonan emphasized that currently in the electricity sector there are around 160,000 households or around 600,000 people who still need support for the cost of installing new electricity connections and cannot be left behind, must be done.